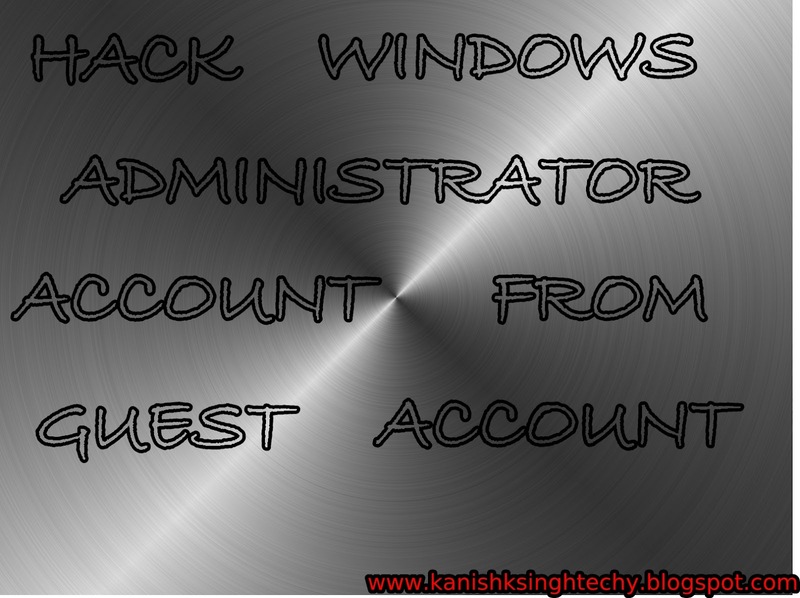 How To Hack Windows Administrator Account From Guest Windows Account. | Kanishk's Technical Blog. 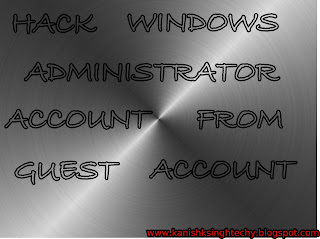 How To Hack Windows Administrator Account From Guest Windows Account. Note From the Blog Owner: This Trick is meant for Educational Purposes and I do not encourage Hacking in Any bad Way. Hello,Today I am giving a Trick on "How To Hack Windows Administrator Account from Guest Account." To Do This Just Follow the below given Steps. Do this from Guest Account. 1. Copy the below code. 2. Open Notepad and Save it as Guest2admin.bat ( You can keep any name the it should end with .bat Format) and keep the FILE TYPE as ALL FILES. 3. Execute this File where you Saved it. A Command Prompt Window will Open and Close...And then,You'll come to the Administrator Account. How do you come to know that your PC is being Monitored? dude yess it works on Win7 too.